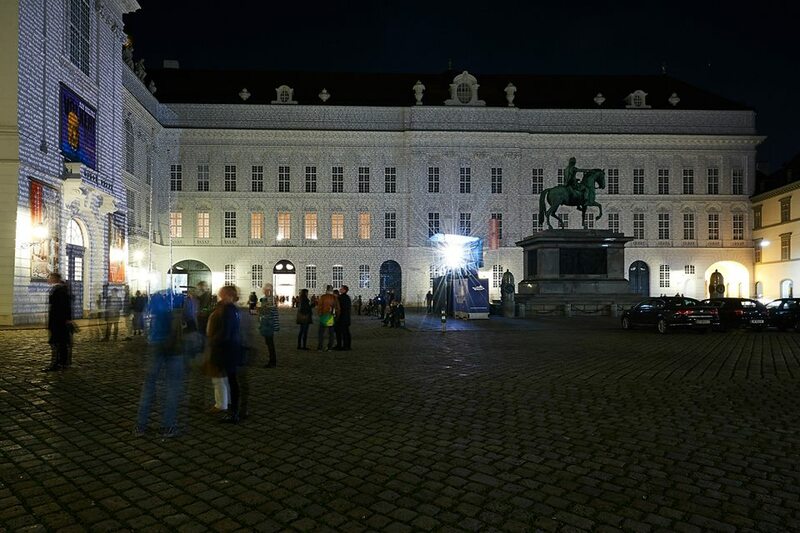 The Vienna Project presented a cluster of closing events, situated at the Hofburg Palace, concluding at midnight on 18.October 2014 one year after the memorial project opened. The closing date was set in relation to Austria’s National Day, suggesting that national identity must include a memory of the past. All events are open to the public. The Hofburg Palace once known as the “Imperial Palace” was originally built in the thirteenth century, as a castle at the city’s center. Soon to become the seat of the great Hapsburg Empire, the Hapsburg Monarchy ruled Europe for over seven centuries, from the Middle Ages to the First World War (1276-1918). 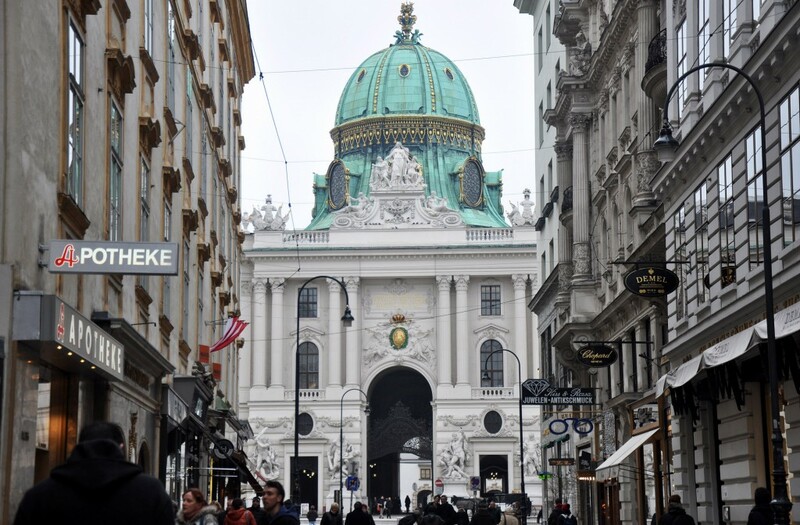 Today, the Hofburg Palace houses the office of the President of Austria, the Austrian National Library, the Hofburg Congress Center, and numerous art collections. 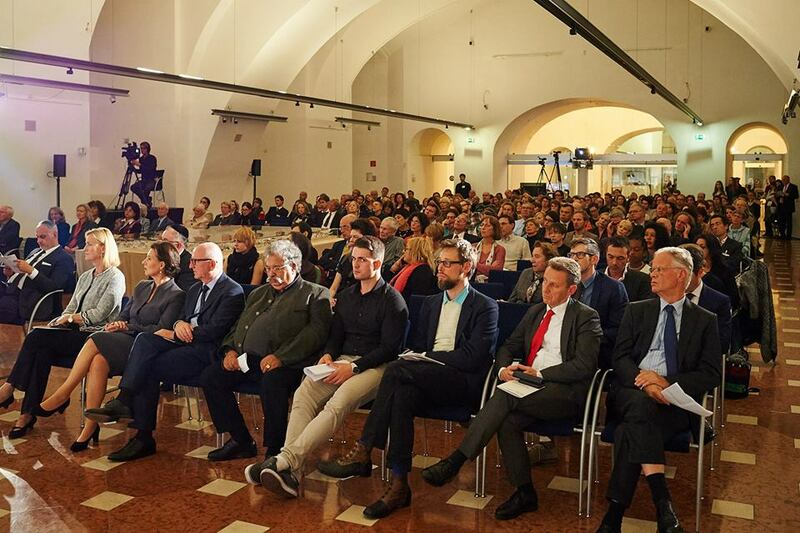 A Closing Ceremony for The Vienna Project took place at the Österreichische Nationalbibliothek / Austrian National Library at the Hofburg Palace, Josefsplatz 1, A-1010 Wien. 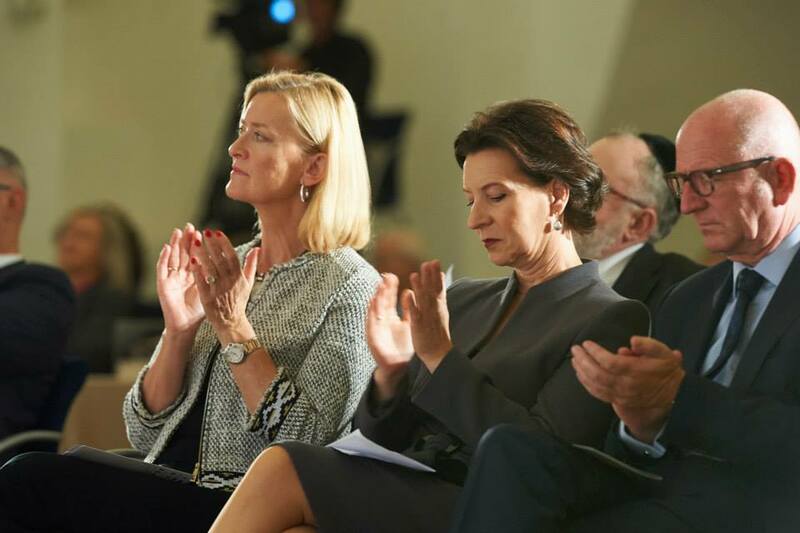 Patrons of this event are named above, representing the honorable President of the Austrian Parliament (2006-2014), a most distinguished ambassador, government officials, and leading representatives of the different victim groups. The Vienna Project’s Closing Ceremony was moderated by Dr. Rubina Möhring, an historian, writer, lecturer, and internationally acclaimed journalist. 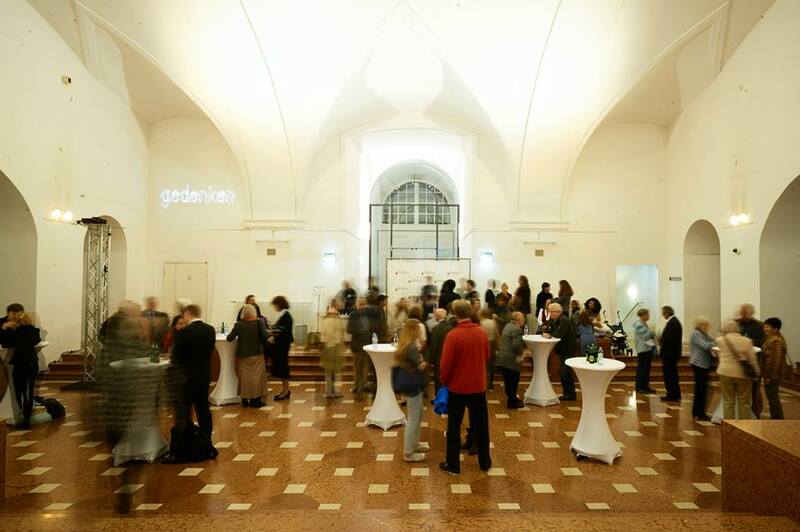 The program began with a welcome from Dr. Johanna Rachinger, Generaldirektorin Österreichische Nationalbibliothek, and a welcome address delivered by Margit Fischer coupled with a remembrance to the Honorable Barbara Prammer, President of the National Council of Austria (2006-2014), named Ehrenschutz/Chief Patron of the Event. Additional presentations were made by Dr. Karen Frostig, President and Artistic Director of The Vienna Project; Oskar Deutsch, President of the Jewish community (IKG), delivered by Chief Rabbi Chaim Eisenberg; Ernst Woller, Chairman of the Committee of Culture and Science for the City of Vienna; and Minister Gabriele Heinisch-Hosek, from the Ministry of Education and Women. 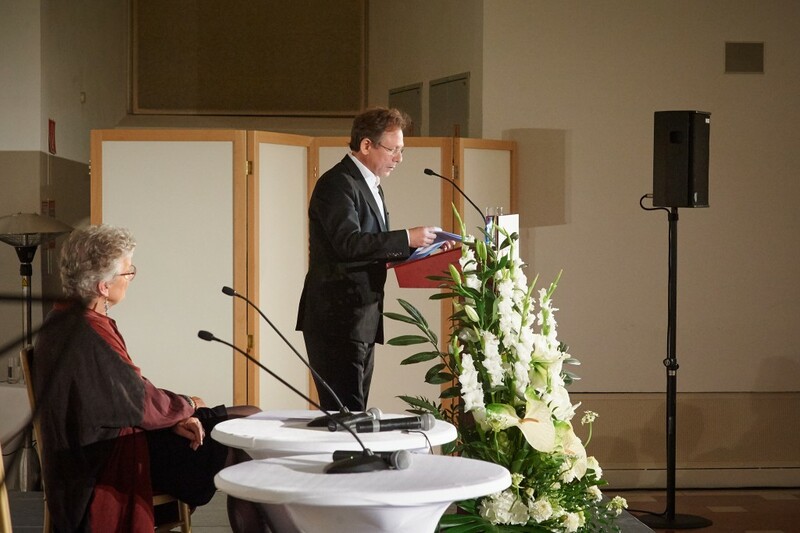 Chief Rabbi Chaim Eisenberg provided a benediction and the program concluded with commentary from Prof. DDr. Oliver Rathkolb, Unversity of Vienna and Rektor Dr. Gerald Bast, Univeristy of Applied Arts Vienna. 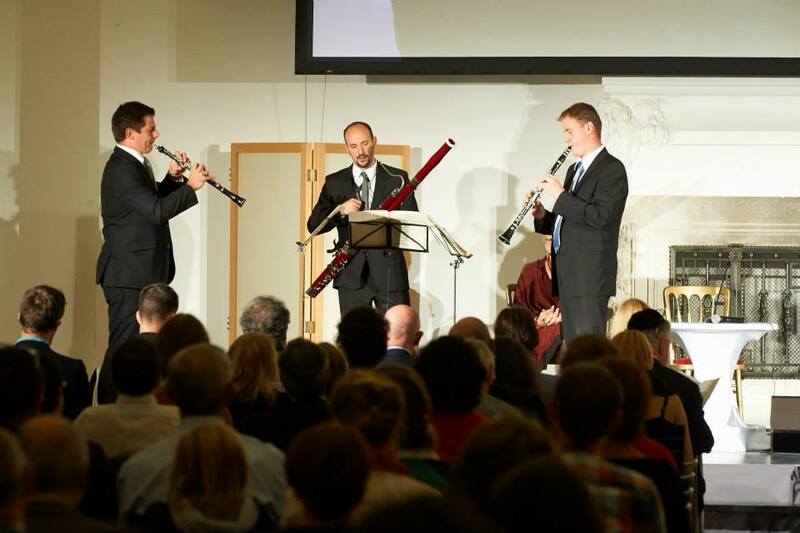 The program was framed by contemporary music pertinent to the this period prepared by Dieter Flury, (flute), Matthias Schorn (clarinet), Clemens Hosak (oboe), and Benedikt Dinkhauser (bassoon) for the Vienna Philharmonic. Our speaker and celebrated author, Doron Rabinovici, born in Tel Aviv and living in Austria since 1964, provided a talk, posing the question “Who is a victim?” which was subsequently published in der Standard. He works as a writer of short stories, novels and essays and as a historian. In his talk, as in other aspects of the program, attention was given to the challenges inherent in developing a naming memorial that includes multiple victim groups. 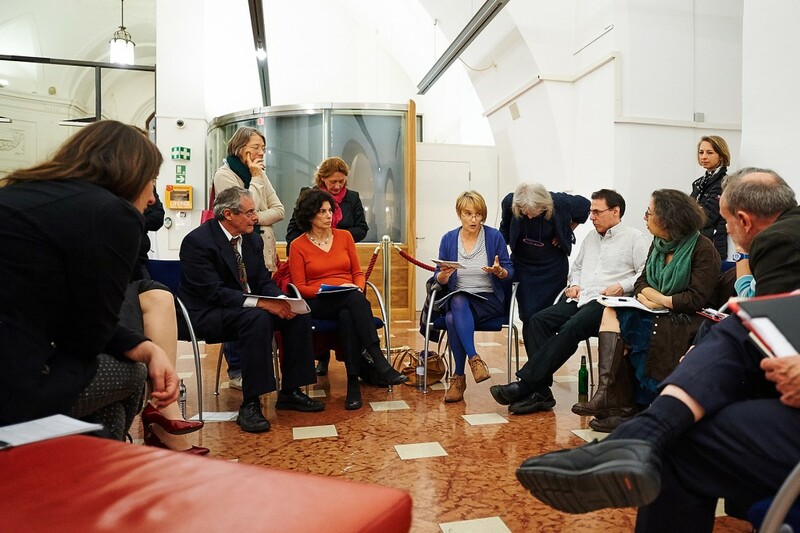 Readings of archival letters written by Austrian victims and survivors of National Socialism and read by family members, was central to The Vienna Project’s closing ceremony. Over 60 letters came from all over the world: Austrian, US, Israel, Great Britain, Canada, Australia, New Zealand, South America and South Africa. Representation of multiple victim groups was also integrated into this component of the program. Readers included Alexander Sarközi, Faith Eliora Bayode with German translation by Gilda Horvath, US Ambassador Daniel B. Baer with German translation by Lui Fidelsberger, and Kabren Frostig Levinson with German translation by Ambassador Wolfgang Paul. 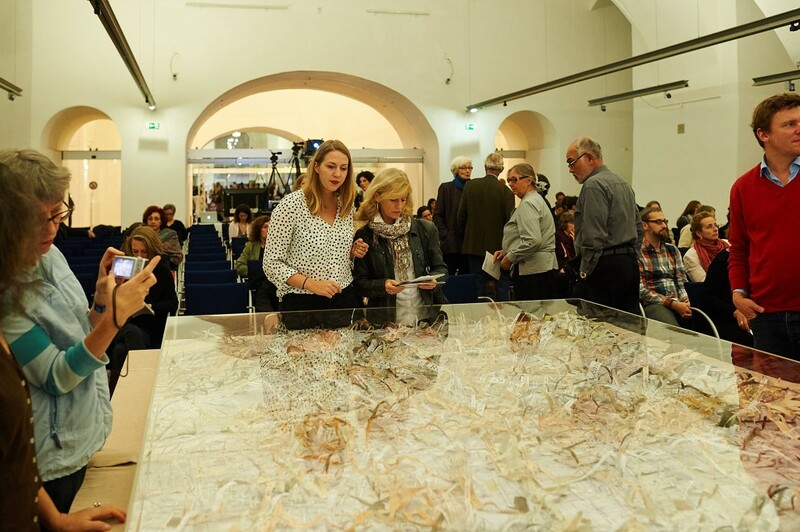 Project’s “Memory Map” has been gifted to the Jewish Museum Vienna to become part of their permanent collection. Two video installations “Worte,” by Daniel Niemand and “What We Remember”by Stefan Arztmann developed for opening events were installed at the library to provide a link between the start and close of The Vienna Project. We concluded this portion of our program with a musical performance. Liquid refreshments were provided by Ottakringer Brauerei. The “Naming Memorial,” was conceived and developed by the project’s artistic director, Karen Frostig starting in 2009, and has undergone numerous reiterations in design and location. Guidelines, developed by Karen Frostig for the naming memorial are extensive and deal primarily with design considerations regarding visualization and representation of multiple victim groups, carrying different histories of persecution. The central concept deals with ideas about difference and inclusion, expressed in the phrase “to not forget as we remember.” Working with video artist Elisabeth Wildlng and technology technicians provided by Georg Reisch at Pani, video and slides were developed to fulfill the memorial concept, representing the names of multiple victim groups in a nonhierarchical presentation. We used different digital strategies—timing, font, spatial arrangement–to indicate the different groupings and create movement and change within the visual field. The design of the memorial project was directly tied to the historic record. 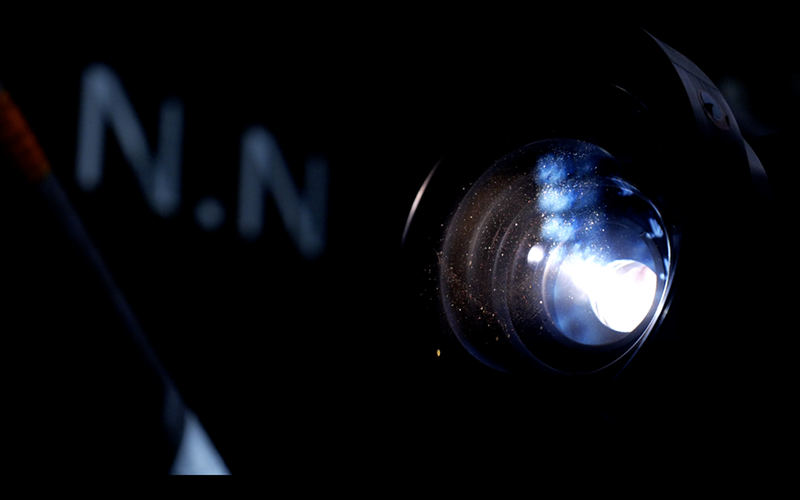 The three hour time-frame for the memorial project allowed for multiple stories to be told. Some additional discussion about the memorial project will help viewers grasp the complexities of the task at hand, regarding representation of the various groups. Efforts to integrate smaller narratives into the larger history were developed. 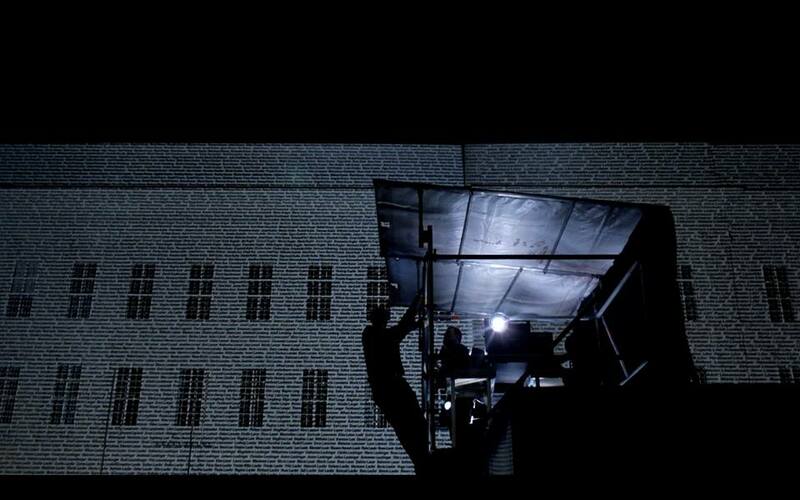 For example, Elisabeth introduced four virtual tablets inscribed with a scrolled listing of names representing the four different groups (Jews, Roma and Sinti, mentally ill and physically disabled, and political dissidents) were projected onto the wall, surrounded by an expanse of projected names. 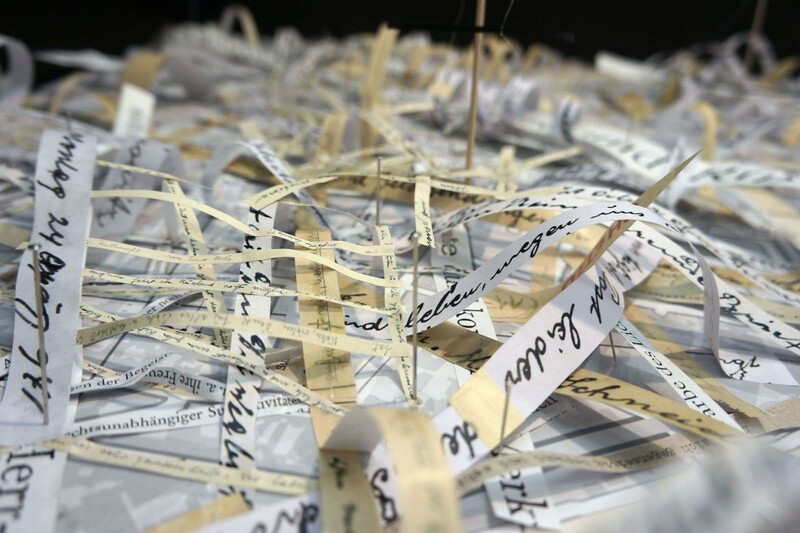 The names appeared as transient encounters, inviting viewers to contemplate the story behind each name. Presentation of individual names abided by group classifications, established by the different databases in use. These classifications represented the circumstances of the vicim’s fate rather than lived identities. This approach, despite its inherent shortfalls regarding the accuracy of group affiliations, offered new opportunities to think about the different groupings of Austrian victims in relationship to one another. 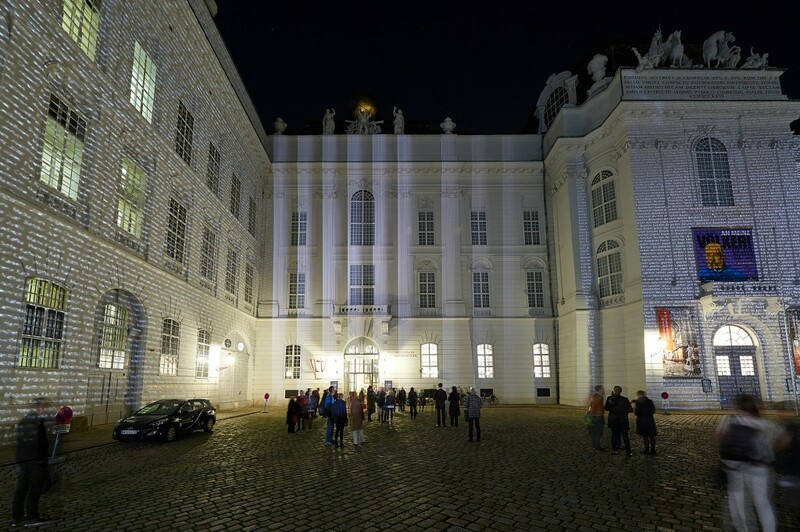 The moving image, containing the names of 91,780 persecuted Austrian victims and dissidents retrieved from five databases, was projected onto the beautifully restored façades of the buildings surrounding Josefsplatz at the Hofburg Palace. The names enveloped viewers as they stood together to witness the names of thousands of victims, murdered between 1938-1945. 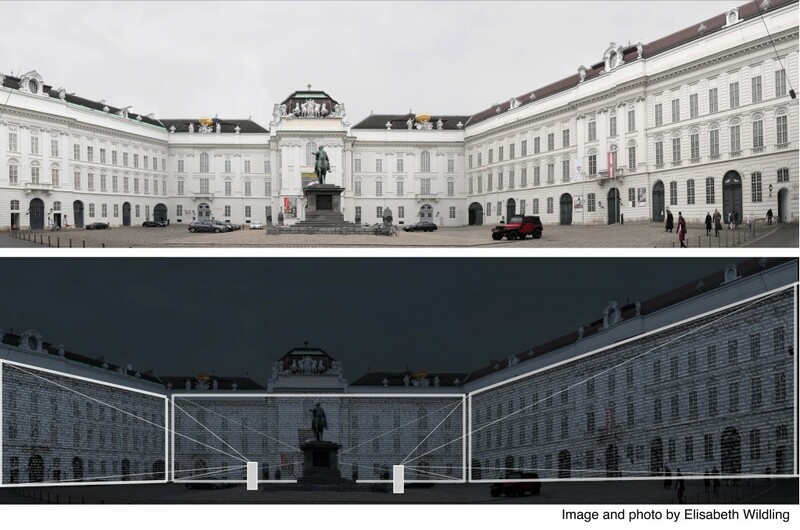 The “Naming Memorial” is be the first public naming memorial in Vienna and the first memorial in Europe to include multiple groups of persecuted victims and dissidents. 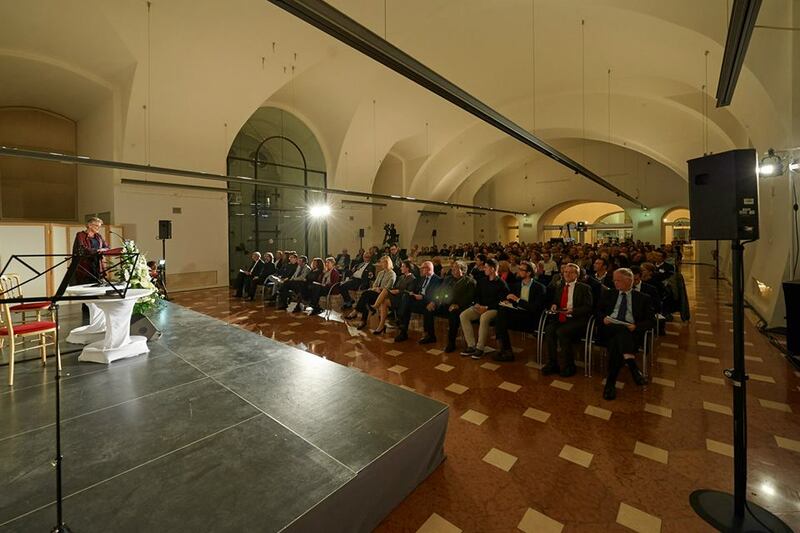 Committed to maintaining group affiliations, the memorial project communicates a message of solidarity regarding the different victim groups persecuted under National Socialism. By locating the naming memorial in Austria and restricting the memorial to the names of persecuted Austrian victims murdered between 1938-1945, the memorial tells a distinctly fresh Austrian narrative about Nazism and the history of National Socialism within the territory of today’s Austria. 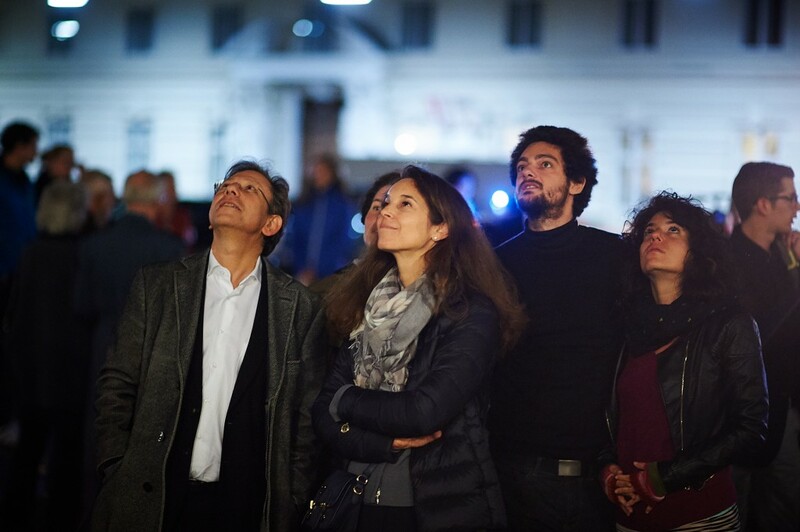 The time-based nature of the projections required that audiences join together in a nighttime vigil of remembrance. Small informal gatherings developed in the square as two readers, Mag. MA. 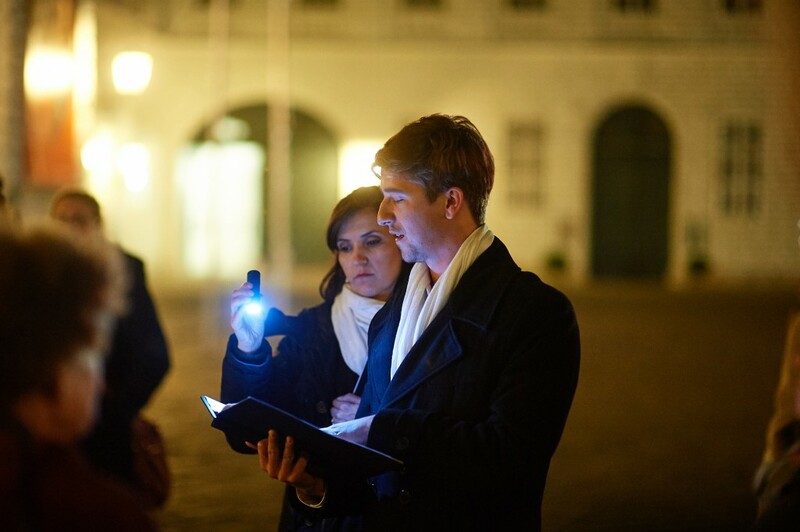 Philipp Reichel an historian and actor and Maxi Neuwirth a singer and actress in musical theater read out loud, additional letters from victims of National Socialism. Groups came together and disperse, listening and responding to letters written by scores of victims whose names appeared on the surrounding walls. Inside the library additional circles formed around readers of letters. Facilitated by Marianne Windsperger, family members read letters and responded to each other’s stories. In keeping with an experience of remembrance, reflective conversations were developed as intimate exchanges. Benches were provided, allowing audience members to linger, to spend time looking and listening, speaking and thinking about the past, in this fleeting environment infused with memory.